Learning to read can be a complex endeavour. It requires our brains to be wired to make sure it connects letters to sounds, put those sounds in the right order to make words and pull them together into sentences and paragraphs we can read and comprehend. People with dyslexia have trouble matching the letters they see on the page with the sounds those letters and combinations make. And when they have trouble with that step, all the other steps are harder. Dyslexia is very common, affecting 20 percent of the population and representing 80– 90 percent of everyone with learning disabilities. Dyslexic people of all ages struggle to read fluently, spell words correctly and learn a second language, among other challenges. But these difficulties have no connection to their overall intelligence. While people with dyslexia are slow readers, they often – paradoxically - are very fast and creative thinkers with strong reasoning abilities. This is all quite scientifically and abstract but how does it really feel? How can one describe dyslexia to another person? How does it affect you? That is a hard question to answer. Here is one example of how it actually feels like to be dyslexic. It is generally described as letters jumping around, but what does that mean? Well, have a look in the link below. Well that was surprising, wasn’t it? You probably didn’t think that it was this impressive before you saw the webpage. It is just harder than you think. Dyslexia can’t be “cured” – it is a lifelong disability. But with the right support, dyslexic individuals can become highly successful students and adults. Early identification and treatment is the key to helping dyslectics achieve in life. Most people with dyslexia need help from a teacher, tutor, or therapist specially trained in using a multisensory, structured language approach. It is important for these individuals to be taught a systematic and explicit method that involves several senses (hearing, seeing, touching) at the same time. What problems can a dyslectic face in life? Anxiety is the most frequent emotional symptom reported by dyslectic adults. They become fearful because of their constant frustration and confusion in school. They may anticipate failure when entering new situations and this can provoke extreme anxiety. The dyslectic persons self–image appears to be exceptionally vulnerable to frustration and anxiety. According to Erik Erikson, during the first years of school, every child must resolve the conflicts between a positive self–image and feelings of inferiority. If children succeed in school, they will develop positive feelings about themselves and believe that they can succeed in life. If children meet failure and frustration, they learn that they are inferior to others, and that their effort makes very little difference. Instead of feeling powerful and productive, they learn that their environment controls them. They feel powerless and incompetent. Many of the emotional problems caused by dyslexia occur out of frustration with school or social situations. The obvious target of the dyslexic's anger are schools and teachers. However, it is common for the dyslexic to vent his anger on his parents. Mothers are particularly likely to feel the dyslexic's wrath because of the child's trust of the mother that allows him/her to vent his/her anger. However, this becomes very frustrating and confusing to the parent who is desperately trying to help their child. Depression is also a frequent complication in dyslexia. Although most dyslectics are not depressed, children with this kind of learning disability are at higher risk for intense feelings of sorrow and pain. Perhaps because of their low self–esteem, dyslexics are afraid to turn their anger toward their environment and instead turn it toward themselves. 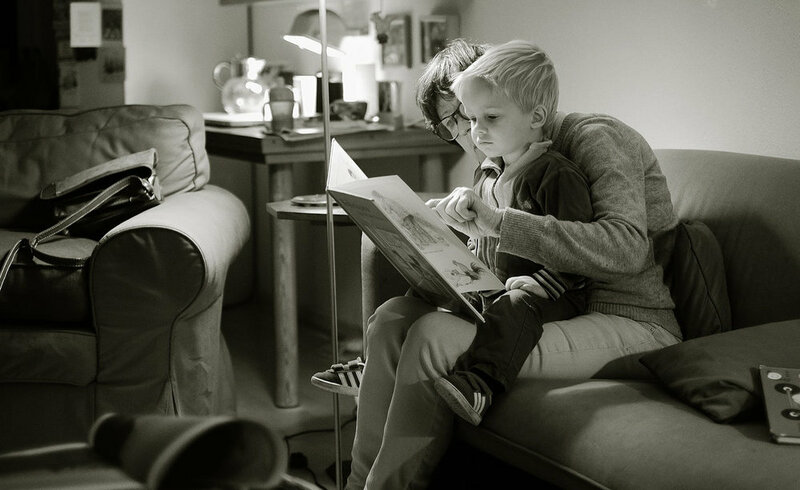 Like any disabling condition, dyslexia has a tremendous impact on the child's family. However, because dyslexia is an invisible handicap, these effects are often overlooked. Dyslexia affects the family in a variety of ways. One of the most obvious is sibling rivalry. Non–dyslexic children often feel jealous of the dyslexic child, who gets the majority of the parents' attention and time. Ironically, the dyslexic child does not want this attention. Dyslexia is often misunderstood by employers. Employers often see it as a weakness of their staff. This is a major misconception as dyslectic people can often function normally, as mentioned above they even have better creative problem-solving skills. Otherwise some employers don’t consider the fact that some dyslectics can be a bit slower in reading and writing.